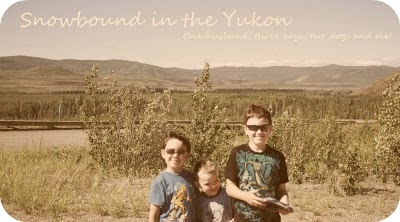 Snowbound in the Yukon: At a loss now! I do my weigh in every Friday now, this is what I was doing the last time, Mondays just don't seem to work for me. Weigh loss is a funny thing. This last week I've been fluctuating a lot, I was up to 291 on Tuesday but now I'm bad down, that is why I only take my Friday weights as my true measure once a week. I was talking with some friends about measuring weight and we each had a different way of doing it. It's what we are comfortable with and what works for us. We are each different. Okay I give up. I just had a huge post typed out. Little M got my attention to check something out. I did, checked on Snow Baby and Little M is back in the office before me and playing with the keyboard, lost a most of my paragraphs. I'll try to get back on later and type. I'm a little teed right now!